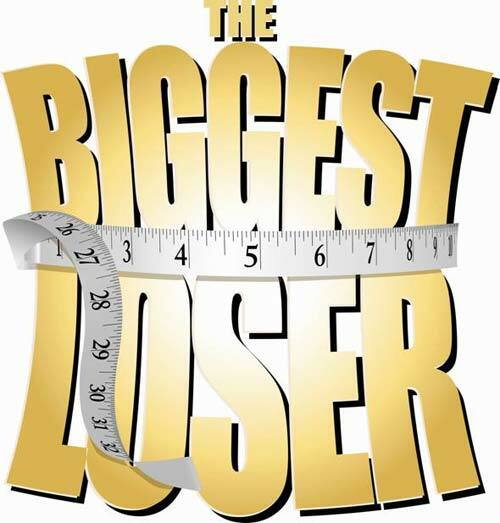 WHY THE BIGGEST LOSER SHOULD BE TAKEN OFF THE AIR IMMEDIATELY! Doing what I do, a lot of people ask me about the show, “The Biggest Loser”, and what my take is on the program. The last time this occurred to me was during my lecture at New York University; I went on my usual 45-minute rant, which left my students intimated and confused. So, now after having done some calming breathing exercises, I will try to break down my take on “The Biggest Loser” in a somewhat more organized manner. The premise of “The Biggest Loser” sounds great; after all, we should be helping clinically obese people make a positive life change. Fantastic, right? Well, let’s take a look as to what really occurs. A group of inactive and overweight contestants are carted off to a remote location, where they are subject to a rigorous diet and exercise program in order to win $250,000. After several weeks, hundreds of pounds are lost, people are ecstatic, and believe that they have found eternal happiness. What’s not to like? To be bold, “The Biggest Loser” is a scam. There, I said it. Problem 1: The trainers on “The Biggest Loser” are less than qualified to oversee a training program (when in doubt, just watch Jillian Michaels’ kettle bell videos). Anna Kournikova might be fun to look at, but she has zero background as a coach or a nutritionist. A weight loss program (involving humans, mind you) should never be used as a career move for C-list celebrities. Problem 2: The environment is artificial; the contestants work out 4 hours a day while being on a very restrictive diet. It is essentially a POW camp. How is this sustainable once they are back in their day jobs? Problem 3: Almost all of the contestants gain the weight back, since they lost it in an unsustainable way. In short: the time frame is too short to lose that much weight. Therefore, the metabolism gets destroyed (thyroid shut down) due to over-dieting and most of the muscle is lost, setting the stage for a monster rebound. Let’s actually do the math on this one: Very often, contestants lose up to 15lbs. a week. If we were to assume that all of this is body fat, the contestant would need to rack up a caloric deficit of 60,000 calories per week of 8,700 calories per day. Now, assuming that the basic metabolic rate of most people is around 1,500-2,000 calories per day, one can conclude that there is no way to burn that many calories. The truth? It was mainly muscle mass that was lost. Not good. Problem 4: The show is dehumanizing. The contestants have often suffered a traumatic experience earlier in their lives and so what they truly need are the following: A. Proper therapy or counseling to find out what is triggering their food addiction, B. Coaching by people who actually do this for a living (maybe even have a certification!) and do it for the right reasons, not just for a paycheck or internet fame and C. Medical supervision by qualified individuals, who administer blood work in order to determine hormonal imbalances and treat those if needed. Bottom line: they should not be paraded around like circus animals. Problem 5: “The Biggest Loser” makes fitness look like a chore, like something unattainable where you have to commit 4 or more hours a day of training and only eat salad to see good results. Seeing this turns people off from working out, thereby laying the groundwork for further unhappiness. In order to be successful in fitness, one has to take a more holistic approach and not just simply focus on pounds of lard lost. Fitness is a beautiful and rewarding lifestyle, and should not be milked for ratings. If you want to do a TV show on fitness, how about a myth busting show that is actually informative? Previous post: THE HCG DIET: TOTAL AWESOMENESS OR UTTER STUPIDITY? Next post: CHANGING YOUR EATING HABITS: IS IT POSSIBLE?